If you are buying for an anniversary present for your favorite couple, its best to spend a little time thinking about what type of present could properly communication your sentiments. Look at the personalized gifts that would fit your friends’ lifestyle. You’ll want to avoid getting the wrong gift because you don’t want to risk the backlash or cold shoulder or, worse yet, the blank stare and lack of comprehension on your friends’ faces when they just don’t get you at all. When you give the right gifts to celebrate a couple’s big day, you cannot go wrong. So take a deep breath and close your eyes. Now picture your friends. Think about how long they’ve been married, what they like to do in their leisure time, and even consider what each person enjoys as a hobby. Reassure yourself…and exhale. You will be rewarded for thinking it through when your gifts are well received. The alternative? You could end up giving them something that is absolutely wrong or terribly inappropriate or just not something they like. At the other end of the spectrum is the tired, old and boring gift. You know, those old standards that everyone receives year after year. Your friends who are about to celebrate their anniversary have probably received too many bottles of cheap wine and fondue pots to count. There are many ways that an anniversary gift can go wrong. Let’s look at a few different types of presents and see what happens to them. Try to stay far away from gift cards offered by alternative, modern hair styling salons and be safe by giving gifts with a personal touch. Why? Well, for instance, a couple in the baby boom generation recently retired from the corporate rat race will have little use for the hairstyles worn so well by younger men and women. Granted, rock and roll is equally revered by those in disparate generations. However, chances are that the short and spiky look for him and the uber-messy layers look for her would just not produce the desired effect. The couple, wondering what on earth possessed you to give them this particular present, would pass the gift cards down the line to their kids or grandkids. Okay, so you’ve decided on a picture frame for the perfect couple you have known since college days in the late 1980s. Wow. Time does fly. But you don’t want to stop there. You have a picture of each that you’ve held onto, and you can’t wait to put the photos in the frame. The problem is, the picture of her looks like she could have been the understudy for Melanie Griffith in “Working Girl.” When you take a good look at his picture, some small area of your unconscious mind admits that he could easily have been mistaken for a younger Lyle Lovett circa 1992. After they open your gift and see the dated photos, your friends will thank you politely before closing the hinged frame and stashing it in the junk drawer next to the couch. If you are going to give photo frames, let your friends choose the pictures. If you know that your friends like to cook, it may be tempting to give the couple a small appliance. Tread lightly here and be wary. 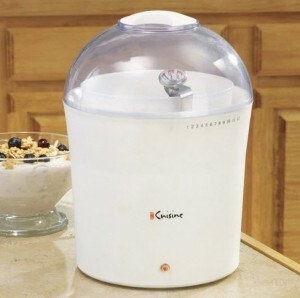 You may enjoy making yogurt, but you can’t be certain a yogurt maker would be the best gift. One or both of your friends may be lactose intolerant. How could you know they have replaced all dairy with soy products in the last two years? Whatever you do, don’t go for the slider burger maker. Diets change often and your gift may end up in long-term storage next to their bread maker and fondue pot. If you want to give anniversary gifts that will not go wrong, choose among the many gifts that can carry a heart-felt message. A gift that communicates your true sentiment will be proudly displayed for years to come.